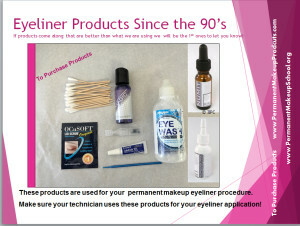 Permanent Cosmetic Eyeliner Safety For The ClientPermanent Makeup Safety AdviceDoes Skin Needling™ Help Wrinkles? This client has deep wrinkles around the eyes and skin discoloration due to sun damage. She hoped that her Skin Needling™ treatment would even out her skin tone and smooth her facial lines, giving her an overall younger, fresher look. Our client, looks 10 years younger after a photofacial and 2 Skin Needling™ treatments. Her skin is brighter and there is an extreme reduction of the wrinkles around her eyes. After the Skin Needling™ treatment, the Proper use of ‘At Home Products’ is essential for glowing and hydrated skin! Skin Needling™ and Facial Needling treats light scarring and fine to deep wrinkles. Using a machine for the Skin Needling™ procedure, the needle cluster is gently inserted into the epidermis and top layer of the dermis. Skin Needling™ promotes the natural reproduction of collagen and elastin, making the skin feel smoother and tighter. We treat only the area that needs attention. We do not work on any tissue outside the boundaries of the wrinkles or scar tissue, as this will make the wrinkle appear even deeper. Skin Needling™ stimulates the body’s natural wound-healing reaction to produce natural collagen. With microscopic punctures in the epidermis/dermis, Skin Needling™ is minimally invasive with little damage to the epidermis/dermis. Clients who choose Skin Needling™ procedures have minimal ‘down time’ and swelling, and most people return to work the following day. What Is The Needle Depth of Penetration For Skin Needling™? The insertion depth of the needle is approximately .07mm, but this measurement depends on the severity of the wrinkles and the client’s desired results. For fine wrinkles, we barely insert the needle into the skin, for heavy wrinkles the needle penetration is deeper. Anyone who likes to ‘play’ outdoors: volleyball, golf, water sports, baseball etc. Who Will Benefit from Skin Needling™? In view of the fact that Skin Needling™ is a nominally invasive procedure, anyone with fine, medium or heavy wrinkling will experience positive results. Acne scars, chicken pox scars, stretch marks, surgical scars will show an improvement after each Skin Needling Application. Who Is Not A Candidate For Skin Needling™? Anyone that is under medical care that may be on a high blood pressure medication, heart medication, is diabetic, not in general good health, is a poor healer, takes a daily aspirin, has an active herpetic breakout, or has just had an invasive laser / deep peel / facial treatment. ASK YOUR PHYSICIAN WHAT THEIR PROTOCOL IS FOR TIME FRAMES OF THE PROCEDURES LISTED ABOVE! If you are under a health care providers care, we must have a physicians / health care providers release prior to any procedure application. What Tools Are Used for Skin Needling™? Skin Needling™ can be accomplished by using a coil, digital, rotary machine or a manual tool. Although this procedure does not require the power of a heavy duty machine, if you are accustomed to using a coil or digital machine you can turn the power down and achieve successful results. 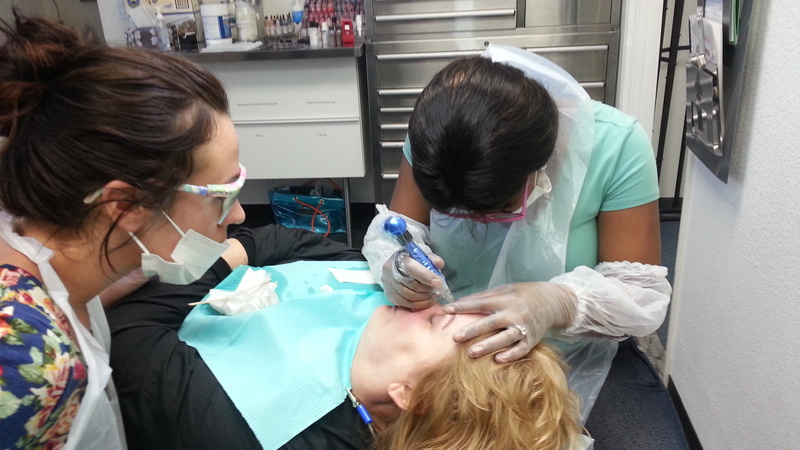 A permanent makeup machine is the ‘Primary’ modality that will target the individual wrinkle. The ‘Secondary’ tool can be the permanent makeup machine with a 6 flat needle spread. You can also use a roller at this point. Do not use a roller to start with as it plumps up the entire region of skin. Sterile, single-use needle clusters will depend on the method of procedure, depth of area to be worked on, and condition of the tissue. The clients skin, general health, medications they may be on, homeopathics and supplements should be assessed prior to the client’s first treatment. The use of skin treatments and/or products both pre- and post-treatment will enhance the client’s results dramatically. Sun worshippers and men / women that have not been on a regular skin care regimen would receive greater benefits if they have any of the treatments listed below prior to their Skin Needling™ procedure. Several options are available to the clients Pre-Treatment: Microdermabrasion, Peels – AHA’s, Glycolic, Salicylic, Malic, Enzyme Peels or Jesners, Laser, Retin A, Retinol, Renova or your favorite peel. Anyone that is prone to herpetic outbreaks needs to be on an antiviral medication prior to their Skin Needling™ procedure. This applies to each additional procedure as well. Physicians suggest 3-5 days pre application and 3-5 days post treatment. For clients that bruise easily, it is advised to consider taking Arnica Montana, Bromaline, or any other anti-inflammatory and anti-bruising product 1-2 days prior to each Skin Needling™ session and 2-3 days post procedure. Always check for allergies to all products being used in your procedure. Cleanse the procedure area with warm water to remove all exudate. Apply DMAE, MSM with antioxidants or other healing serum. Mineral makeup can be used 12-24 hours post procedure. If you use makeup on broken skin, the risk of bacteria entering the procedure area, as well as the makeup filtering its way into the open tissue, can be detrimental by causing darker pigmentation and infection. After the skin has healed, the use of AHA’s will help to keep the top layer of skin softened and sloughed off, resulting in younger looking skin. For the first few days our clients apply a very light coat of Petroleum directly on the treatment area. This will not only keep the area from scabbing, but will keep the skin soft and supple. The client may also us DMAE, MSM serum. Using topical Vitamin C, A or E and Collagen producing products are also fantastic for the skin. Use these products when the skin is healed over and not broken. I personally been using Pro Medical Skin Care Wrinkle Reducer, DMAE,MSM with antioxidants Serum. The Wrinkle Reducer is great for sloughing off and regenerating tissue while the DMAE seals moisture into the skin making your skin moist and dewy all day long. What Can A Client Expect From Skin Needling™? Our clients report smoother, softer feeling and looking skin after each treatment; noticing creams and lotions penetrate their skin more easily, and their fine lines and wrinkles have softened considerably and they look years younger. Clients with other concerns, such as acne scaring, scars from surgery or injury, do not notice the depressed area as readily post each treatment application. The body’s natural collagen is masking the imperfection of the scarring process after each treatment, while it regenerates the natural collagen. We have clients that have seen immediate, long-lasting results, and other clients noticed an improvement gradually over an 8 week period. One of our acne clients said he noticed results 3 months post procedure and his skin kept looking better and better. Each person’s results will vary as their body’s NATURAL collagen and elastin regenerate. We Never Guarantee what percentage of improvement the client will have. The results will depend upon how they take care of their skin between procedures. What Does Skin Needling™ Look Like Post Procedure ? Day 1 and 2 – Depending on how deeply the technician inserts the needle into the epidermis / dermis, the tissue may be slightly to moderately swollen, tender, red and bruised, with a slight lymph discharge (exudate) from the treated areas. Minor itching may occur and the ‘needled’ tissue may exhibit the appearance of ‘cat scratches’. Day 3 – The treated areas slightly crust and remain faint pink to red. Day 4-–The redness and crusting have diminished. Day 5 – There is barely any evidence of a procedure. How Soon Do I Schedule a Follow Up Skin Needling™ Treatment? Procedure applications are usually repeated at a 6-8 week intervals, depending on the condition of the tissue and desired results. The older the person is, the longer you wait between procedure applications. How Much Does Skin Needling™ Cost Per Treatment? 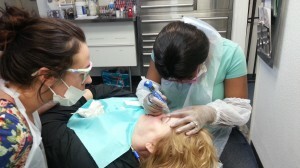 The national average for technician fees range from $200.00 to $395.00 per 30 minute sessions. We charge $250.00 per 30 minute treatment with a 30 minute minimum. After the Skin Needling™ procedure fills in wrinkles and lines with the body’s own natural collagen, the client may still want to have facial fillers in their lips, as well as Botox, to paralyze their glabella, upper forehead and crow’s feet. The Skin Needling™ clients that have Botox will have longer lasting results, as the Botox paralyzes the muscles which in return allows very little movement of the treated area. What The Client Needs to Know About Skin Needling™ Treatments? To look their best, we still recommend that all clients should consider having Botox to paralyze their muscles to enhance their Skin Needling™ results. Lip fillers are also highly recommended to plump the lips if the client is requesting fuller, luscious lips as Skin Needling™ will not accomplish this. Skin Needling™ can be dangerous in untrained hands. Skin could be macerated by overworking of the procedural area and potentially creating scarring, infection, hyperpigmentation and uneven skin. Always consult a trained professional for these treatments. People trying to do these treatments at home will not experience pleasing, lasting results often making their skin appear worse looking. I have learned extensively about the body’s natural collagen; our intricacies, along with how vitally important collagen is for our entire body. I suggest that you go to these websites for detailed information on collagen.